Patricia Kwan has been teaching third grade for 4.5 years. She regularly uses the Internet for her own research as well as for teaching her students. I added the lessons in this unit to the existing math curriculum. The fractions lesson was a good review of the previous math unit while the lessons on area and spatial pattern recognition complement the unit that I am currently teaching. Some of the websites in this unit were too difficult for my third grade class. Therefore, those activities were modified to either shared reading lessons or exploratory activities followed by oral directions. 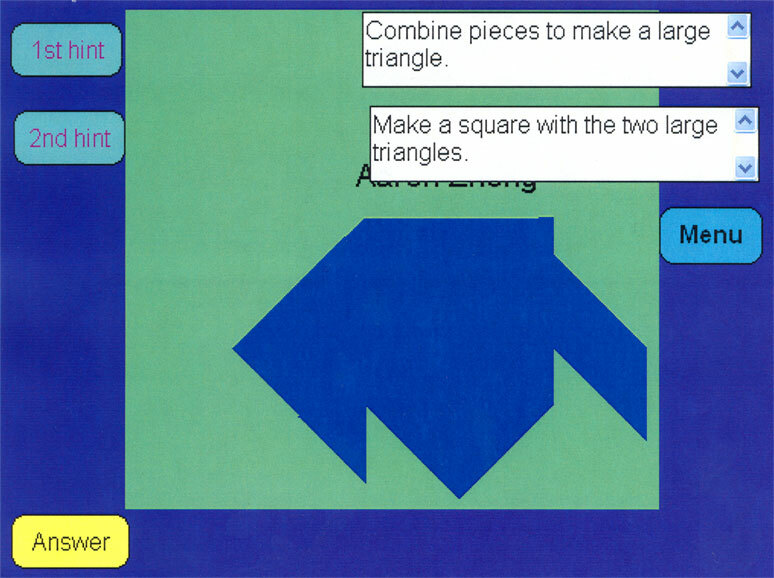 Understand math concepts through manipulation of tangram pieces. Create new puzzles using the 7 tangram pieces. Understand and use math vocabulary connected to the concepts taught. Technology was integrated using the Internet as a research tool, developing spatial relationships, and publishing creative tangram designs. 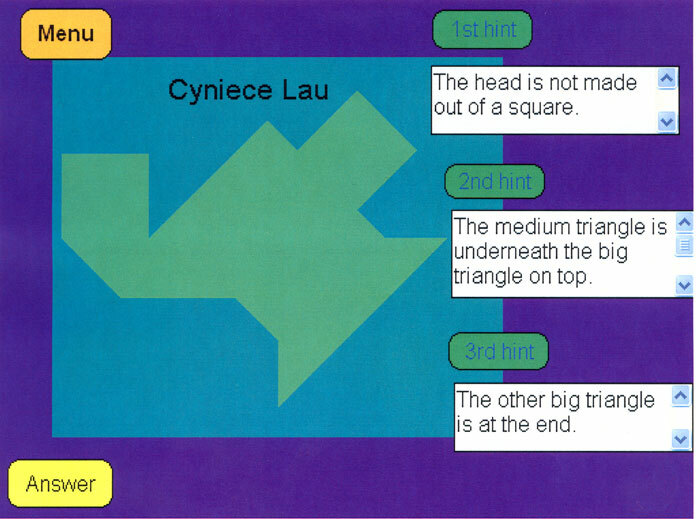 Students were assessed through a combination of teacher observations, activity sheets, and student-created tangram puzzles on Hyperstudio cards. 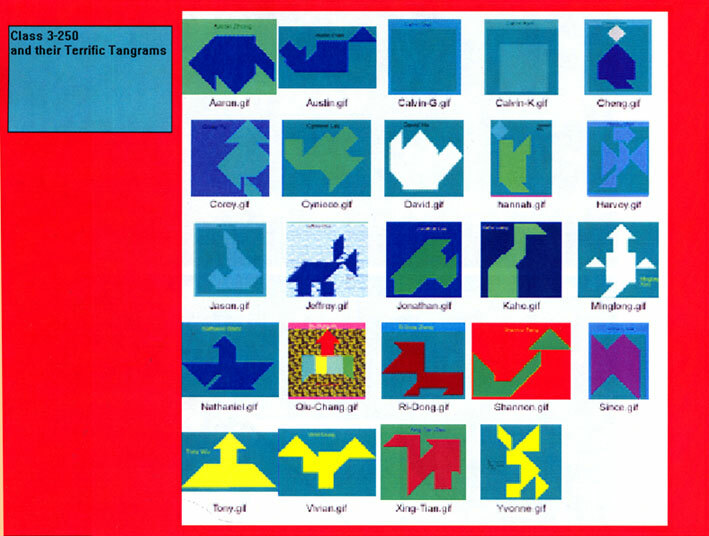 Some students may find it difficult to give explicit directions on how they solved the tangram puzzles. Support each math lesson with other activities to reinforce concepts. Reorder chart in lesson 2 to help students see the relationships among different shapes and to build upon by starting with simpler relationships to more abstract ones.